Children’s cardiac care across Aberdeen, Aberdeenshire and Moray has been left “in the Dark Ages” and urgently requires more support before mums and dads are plunged into poverty, according to the founder of a life-changing heart charity. 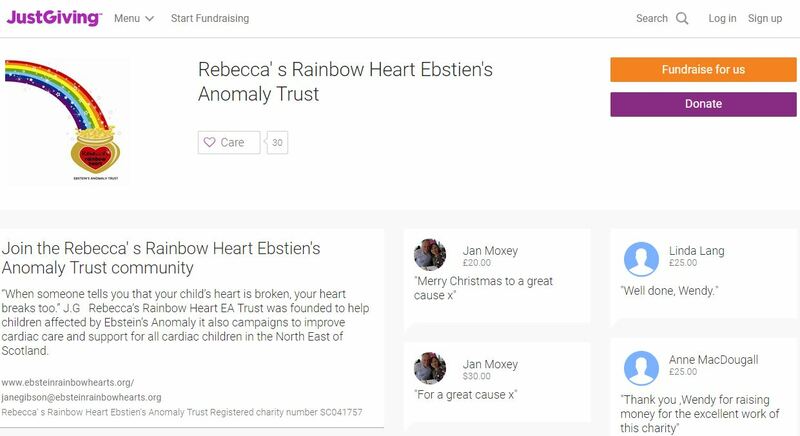 Jane Gibson, the founder of the Rebecca’s Rainbow Heart Ebstien’s Anomaly Trust (RRHEAT), yesterday handed NHS Grampian more than £55,000 to improve the care of children like her daughter Rebecca, who was born with a rare congenital defect in her heart. 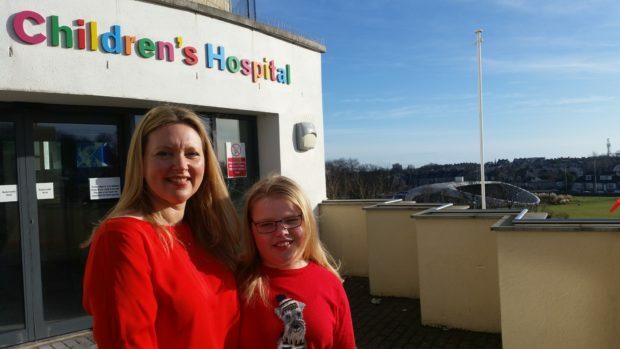 Mrs Gibson, 49, established the charity to improve the support available for youngsters in the north-east who live with cardiac conditions after dealing with many hardships when Rebecca, now 13, was younger and undergoing numerous major operations. I would like to thank everyone who has sent cards and wishes regarding my inclusion on the New Years Honours List …. Thanks to her fundraising efforts over the years, the health board now offers the services of Scotland’s first community cardiac paediatric nurse, who has assisted in the care of 350 children across the north-east. But although the picture for young cardiac patients has vastly improved since Rebecca was little, Mrs Gibson believes much must still be done by the NHS and the Scottish Government to help Scots children. Figures from the British Heart Foundation (BHF) reveal there were 23 heart or circulatory deaths of children from neonatal up to 14 years of age in Scotland in 2017. In the same period, there were 21 deaths from all cancers. Mrs Gibson, who has a background as a cardiac nurse, said: “Children’s heart services are just not being properly funded by the NHS in Scotland. “They are stuck in the Dark Ages and we are trying to get the Scottish Government to stand up and take notice. “As the children struggle to receive the care packages they need, many parents are floundering. “The level of care now – with the help of the community cardiac paediatric nurse – has dramatically improved and there’s been a lot of positive feedback. Mrs Gibson said during her time going back and forth to Glasgow’s Yorkhill hospital when Rebecca required specialist surgery, she found that many parents had given up everything for their children. The money raised for yesterday’s enormous donation to NHS Grampian was made possible by the Braveheart Ball, which was held in Inverurie last year. Caroline Reid, nurse manager for community children’s nurses, at NHS Grampian, said: “The RRHEAT charity has been supporting a community children’s nurse for cardiac children for almost two years. “This donation today will allow us to further develop services for cardiac children in NHS Grampian. James Cant, director of BHF Scotland, said: “We recognise the huge challenges that all families face when their child is diagnosed with a heart condition. North East MSP Tom Mason said: “This is a fantastic donation that will make a huge different to many patients in the north-east.